The first generation Cadillac CTS-V was released for the 2004 model year as a complete and total departure from Cadillac's traditional role as a builder of coddling geezer mobiles. The Corvette Z06 powered sedan was nothing short of an M5 beater and is cheap on the used market today. 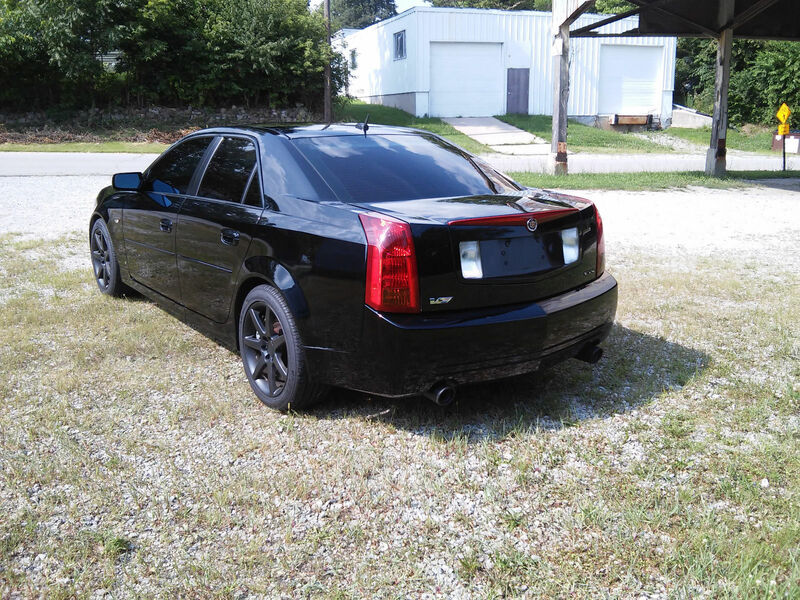 Find this 2006 Cadillac CTS-V here on eBay bidding for $8,100 with 3 days to go, located in New Palestine, IN. The CTS was the culmination of years of GM's work on the Sigma platform which somewhat superceded the awful Opel Catera, but also ushered in the era of rear-wheel-drive Cadillac performance. The -V version was crafted from the good stuff and goes toe-to-toe with Audi's RS6, BMWs M5 and Mercedes E55 AMG. This is the reason you want a CTS-V. You don't buy one for the decade old nav system that looks like an Apple II computer, or the chintzy interior materials -- you get it for the 6.0 liter LS2 V8 that pushes out 406 horsepower and 395 ft-lbs of torque backed up by a 6-speed tremec gearbox and a limited slip differential. The Opel Catera (Omega MV6) was not awful. It was actually a very good platform. It had a crap engine, true. 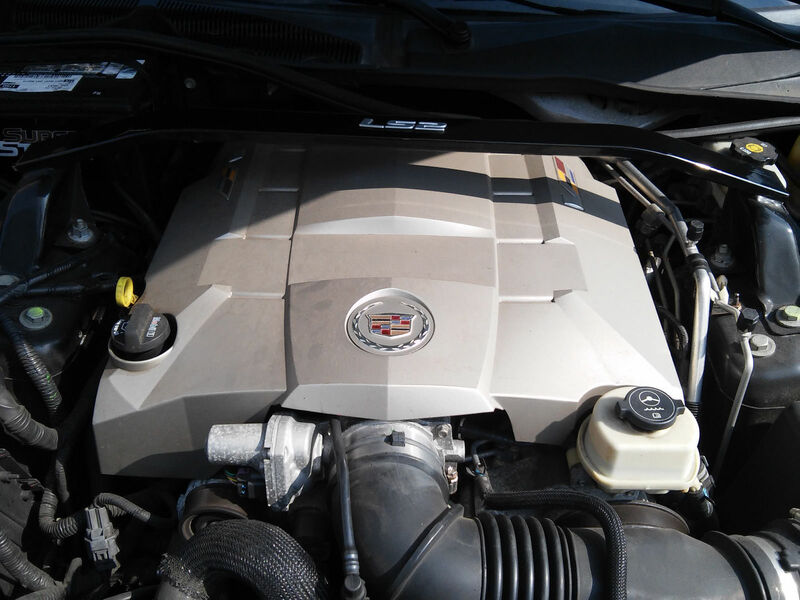 If you bought an Opel in Germany you faced 30K-mile cam-belt changes, but for some reason Cadillac figured that same engine could go to 100K without a belt or tensioners in the US. They rarely did, of course, which is why the wrecking yards were littered with 80K-mile Cateras. But if you're doing a steering box swap on an old Ford the Catera ZF box is a magnificent piece of hardware, and you should thank GM for their oversight. 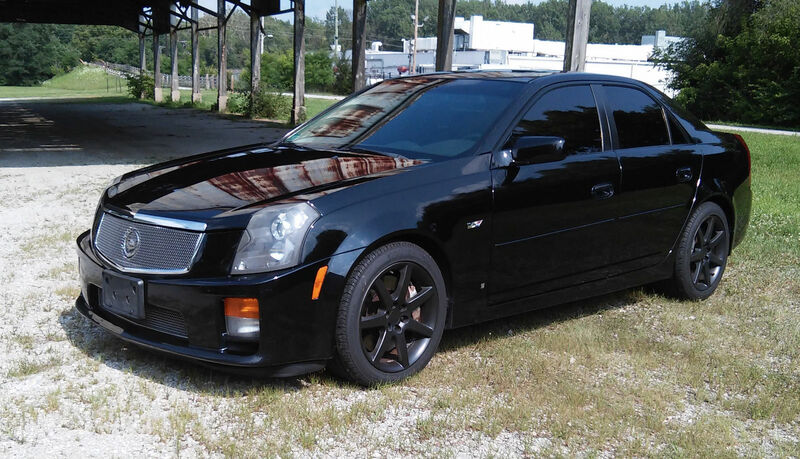 First-gen CTS-V a blast to drive, material quality so-so, not a fan of the black-everything look. These seem like they'd be a blast to drive, but I've always been scared off by internet horror stories on the maintenance issues. If I wanted that kind of punishment, I'd go for something Italian. This would be a great car if I quit my day job and became a freelance pharmacist.